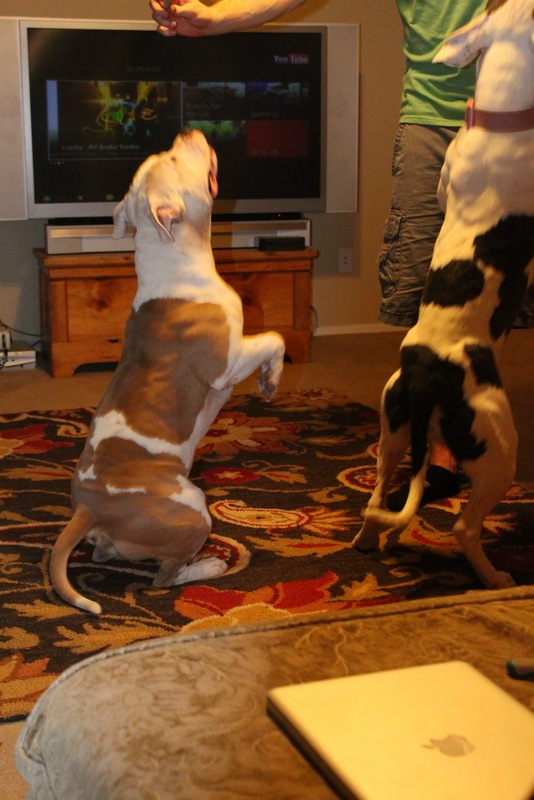 Sometimes Titian tries to jump as high as Nali. Or he tries to jump off her back. Whatever works to get the treat! just found your blog - love it. now following! Too cute! Sounds like nights around here sometimes too. Video games - check! Nail polish - check! Pinterest - check! Dog who loves belly rubs - check! Thanks for following my blog. Yours is adorable and I'm enjoying reading it. And sometimes nothing is the best. I have been doing alot of nothing lately and loving it! Aw I love your blog! You two are adorable :) Thanks for linking up!